As Fingerithmatic is a one off teaching lesson there is very little need for follow up tuition. Parents use the system to teach all the other tables to their children after a teaching session with Frances and the schools that have her come, usually watch the system in action in the classroom and follow it up with Professional Development after school, so when the phone went quiet, with only one hours work in the month, Frances knew that she needed some More publicity to become known again. What could she come up with to grab that attention this time? 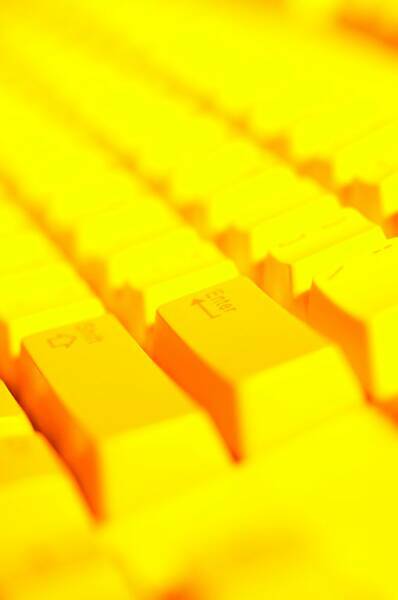 In October 2001 she received an email from Holland, it was from her Aunt, the letter was very short and simply stated that “Thank you for your mail, but I can’t type well.” How could she teach her aunt to type so that they could communicate properly without the frustration of having to search the keyboard for every single key? She thought about it for a few moments and then started to teach her fingers. Yes! Her fingers could type without her looking at the keys. She practiced at every opportunity, in the bath, in bed, at the table; there was no need to have a keyboard to practice on. Before even seeing if it would work on anyone else she rang the Timaru Herald to let them know that her fingers were back in business again. TV3 were also notified through Mark Price who had interviewed her for the maths story, permission was given for a follow up story and filming was set to take place in Dunedin where the memory concept had taken firm hold at Green Island school. A whole class of 11 and 12 year olds were taught the system and after one hour 3 students volunteered to sit down at a computer and find the alphabet keys in order and in front of a TV camera, blind-folded. The results were simply amazing!!!! Frances had tears in her eyes as each of the students performed the alphabet task and pressed keys at her direction. Then the cameraman wanted her to teach him the technique and promised to practice every day. After the film crew left, Frances went on to teach two, 2 finger typists; a female teacher in 20 minutes and a male teacher in 30 minutes. His hands had been injured while fixing car engines and playing around with motor- bikes. Most of the time he was rubbing his sore knuckles. They weren’t used to the fine motor skills. 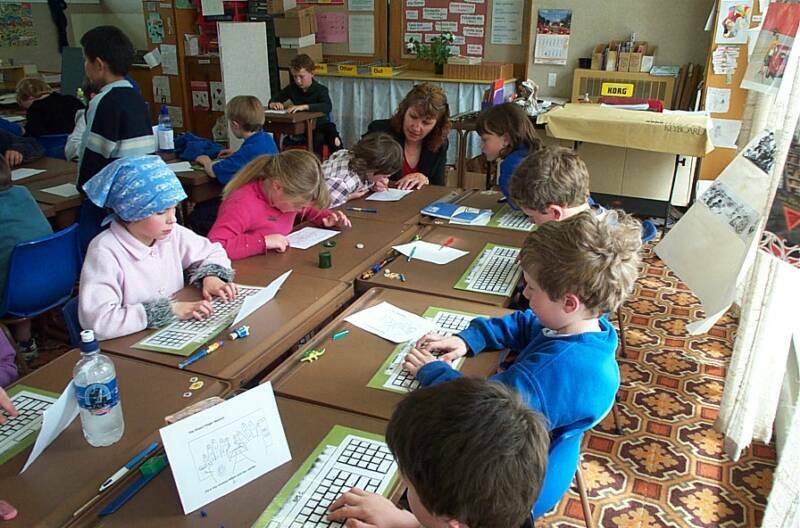 Children learning to Touch Type in a one off lesson with Frances More in a classroom in Balclutha in the South Island of New Zealand. 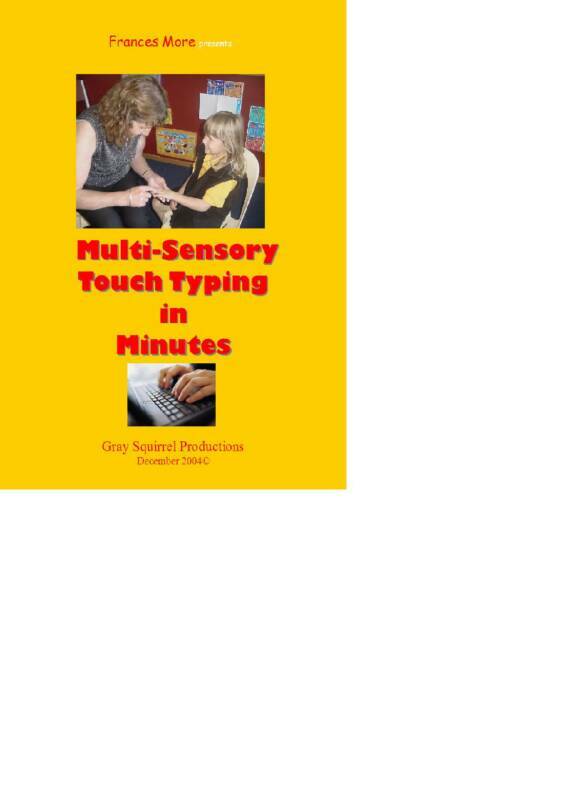 Finally, a wonderful way to teach the letters to the fingers not the fingers to the letters! I’m impressed! 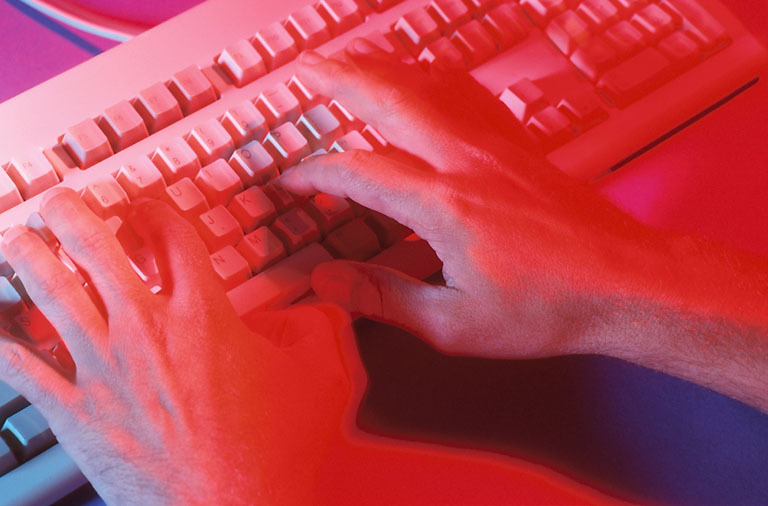 It is cool to tell my brothers that I can type without looking at the keyboard; I liked to see their faces. By the way I learnt the river skills, Nile, Amazon, Yangtze, Mississippi, Yenesey, Huang ho, Ob Irtysh, Rio de la Plata, Congo and Lena Keringa. Thank you for coming to our class and teaching us keyboard skills. I liked it and I bet the rest of the class did as well. I liked the how you thought of the name Qwerty Qwik is a great name for it. I liked how you could just think of words to memorise all the letters. How long did it take you to memorise all the letters and to teach to a class? I practice for half an hour every day. I was away on Thursday but I still just want to thank you for coming and teaching us keyboard skills. I just recently got taught the longest rivers and the keyboard. I thought it was really good because it will get us through life stuff like that. I helped with the gala and everything like that but I couldn’t make it as my Nana passed away the day before. I really liked learning the ten longest rivers because I know them off by heart now but some of the words are hard to say. I can now go home and teach my family. I can’t believe how quick it takes to learn all the things we have been taught. I bet you I could write down all the rivers in the right order so here I go. The Nile, Amazon, Yangtze, Mississippi, Yenisey, Huang Ho, Ob Irtysh, Rio de la Plata, Conga, Lena Keringa. Told you but just one more thank-you. After school on the day you came and taught us the keyboard skills I went home and practised on my bed. Afterwards I went to the computer and wrote a 300 word document in ¾ of an hour. Thank you so much I never could have done that keyboard skill if you didn’t come and teach us. I think it is the best way of teaching the keyboard and where the letters are. And you are right about you won’t forget because I still know where they are and I’m still getting better. I think it would be very useful because you don’t have to look at the keyboard for every key. I don’t know how you could teach the whole class the keyboard skills in one hour. It was great.